The scene of Thursday's attempted murder in Shawlands. Detectives hunting the gunman who blasted a Shawlands man at close range have today issued a new appeal for information. The 34-year-old attempted murder victim, widely named as florist boss Ross Craig, owner of Regal Roses, was shot once in the leg as he was getting into his car outside his home in Shawhill Road at around 8.10am on Thursday. Despite his injury the wounded man then chased the suspect down Shawhill Road through Shawlands to St Ronan’s Drive. There the fugitive got into the passenger seat of a dark-coloured car, which sped off on to Kenilworth Avenue. The man is 5ft 7 ins and wore dark clothing and a dark coloured beanie hat. The victim was later treated for gunshot wounds at Queen Elizabeth University Hospital, but was later released. Last night teams of forensic officers searched lanes and gardens for clues, and today police maintained a conspicuous presence in the area while urging anyone who witnessed the attack to come forward. Local residents have voiced concern that the incident took place a short distance from Shawlands Primary School. 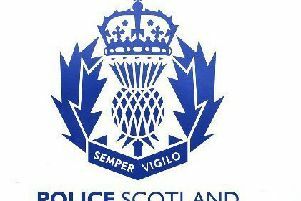 Detective Inspector Colin Hailstones from Cathcart Police Office said today: “Our attempted murder investigation is progressing well and we have been encouraged by the response from the local community. “House to house enquiries are currently ongoing and officers are continuing to study a large amount of CCTV footage that has been gathered in the local area. “Specialist officers have completed a fingertip ground search of the areas the suspect ran through in an effort to gather vital evidence. He added: “Our duty is to protect the wider community, and I completely understand that people living in the local area may have concerns about this type of incident happening on their doorstep. “I would stress that this was not a random attack and there are additional high profile police patrols in the area to provide reassurance. I would urge anyone with concerns to approach those officers. “I appeal to anyone who was in Kenilworth Avenue or the surrounding streets who either saw this man (suspect) running past, or saw a dark coloured vehicle parked, then being driven at speed, to please come forward. Anyone with information is urged to contact the incident room at Cathcart Police Office through 101. Alternatively CRIMESTOPPERS can be contacted on 0800 555 111, where anonymity can be maintained.